Looking for Influencers Outreach, Sponsored Blog Posts, and Branded Content? In recent years Influencer Marketing has become a phenomenal topic in the world of digital marketing. And with the growing number of new social media sites and content writers, Influencer Marketing will continue to grow in proportion. Accordingly, marketers, brands, and businesses – big and small are collaborating with influencers of all categories to help them grow their businesses, thereby making influencer marketing a multi-billion dollar industry. Consequently, if you’re not using influencer marketing tool to grow your business, you’re certainly leaving money on the table. However, if you’re just starting out with influencers marketing, please, continue reading to discover some amazing facts about Influencer Marketing. 1. What Is Influencer Marketing? 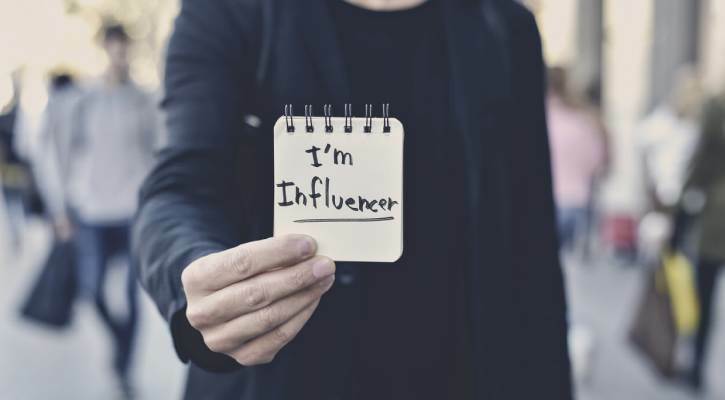 Influencer Marketing, also known as influence marketing is a type of marketing that concentrates on using key players (influential people) in your industry to convey your message to a more wider market. Instead of personally selling to a selected group of customers, influencers or key players will help you do the job, by promoting your brand, products and services to a larger market. It simply identify leaders who have influence over potential customers and align your marketing activities with them. As with any other marketing channels, there are many types of influencers you can work with to help you grow your business. But, in this article, we segment the many types of influencers into three categories. Hence, you need to figure out which of these influencers really fit your needs before investing in influencer marketing. Mega-influencers: This category of influencers mainly consists of celebrities – actors, artists, sports stars/athletes and social media stars. They are individuals who have over one million followers across channels and command 2% to 5% engagement per post. Because of their celebrity status, mega-influencers have the highest reach on influencer marketing campaigns, and the lowest overall turn-down in terms of influencing their followers buyer behavior on behalf of a brand. Macro-influencers: The mega-influencers’ section is made up of company/business executives – fashion moguls, lifestyle, journalists, bloggers, and authors. PR influencers, etc. These men and women are individuals who have from 100k to 1M followers across social media, and other marketing channels and drives about 5 to 25 percent engagement per post. The numbers that qualifies for this position differs according to various social media sites. Some put it at from 100k to 1M followers, while others put it at 200k/250k to 1 million followers. Furthermore, they have the highest reach on niche market, or immediate relevance, importance, or interest owing to its relation to current niche market. 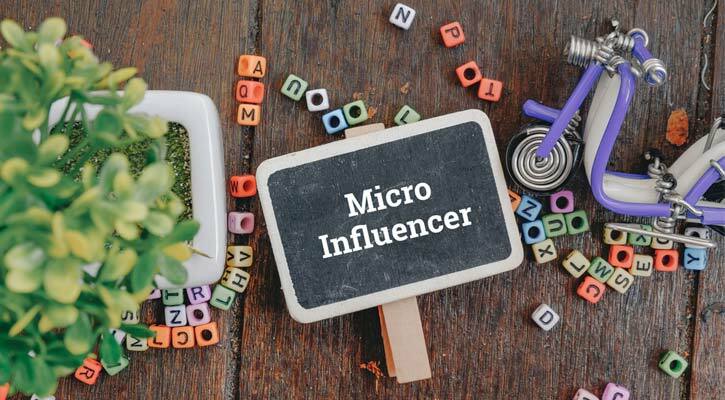 Micro-influencers: In this category we have everyday consumers, bloggers, employees, social media users, etc. Anyone who have from 1,000 to 10,000 followers on social media. There’s been much controversy regarding those who qualify for micro-influencer position. Some people say anybody with over 1000 followers, others say from 5000 followers, yet others say from 10,000 followers. The numbers also vary in terms of the maximum number of a micro influencer, bring from 100,000 to 500,000. The variation in numbers doesn’t matter to me. What really matters is the rate of engagement a micro-influencer commands – comments, likes, shares, and mentions. 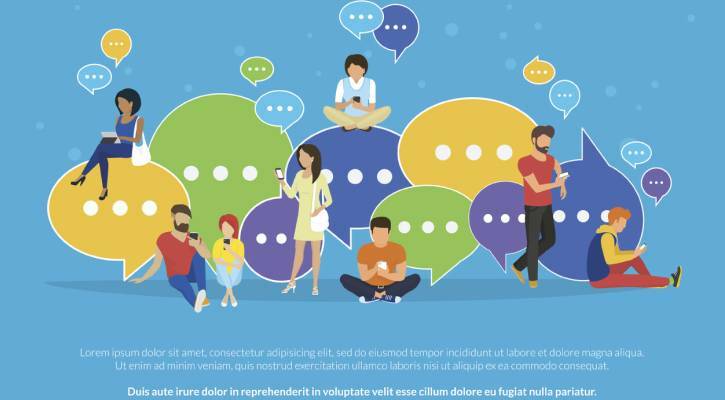 Consequently, because of their personal experiences with brands and the strength of the relationship they have with their network, micro-influencers are able to drive about 25 to 50 percent engagement on each post. 3. What Are The Characteristics Of An Influencer? Many claim to be Influencers, but do they honestly make up the list of influencers? What characterizes you as an influencers? To be an Influencer simply means that you have the power to influence or control the behavior of a person, or a group of people. And as the term – Influencer Marketing suggests, it brings out the fact that influencers are people who have the capabilities to directly influence or control the buyer behavior of their followers. This brings us to the three main factors of the power of an influencer to influence the buying and purchasing behavior of his followers. Relevance: An influencer must have the potential to easily connect to a brand’s message. Reach: He/she must be able to reach his target audience with the brand’s content/message. Resonance: Must have the power to create content that is in harmony with the brand’s message, as well as resonate and influence the behavior of his audience. A study conducted by Tomoson found that 59% of marketers plan to increase their influencer marketing budgets over the next few months. It also shows that influencer marketing is the fastest-growing digital marketing channel, beating organic search, paid search and email marketing. As you can see from the screenshot below, 50℅ of marketers are using Influencers marketing for lead generation and to increase sales. Clearly, it would be a wise decision for you to invest and work with influencers in your industry. Influencer marketing is an excellent and most effective form of digital marketing which marketers must implement. Fadida of Rebel Way Entertainment points out that brand-influencer partnerships can be quite lucrative for both brands and influencers. 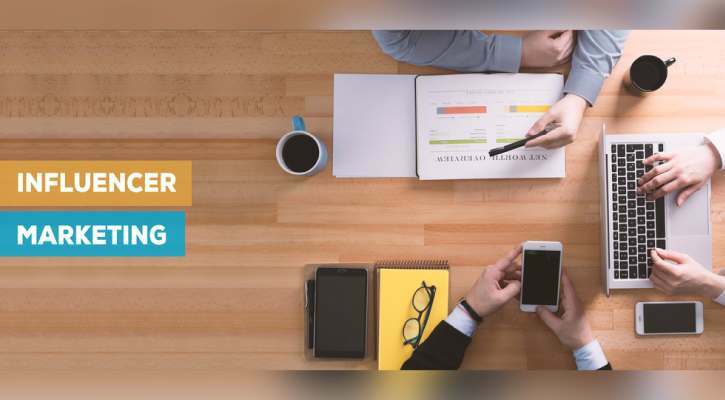 But to implement a successful influencer marketing campaign, you must know how to work with influencers to successfully take your business to the next height. Here are some tips on how to work with influencers. Give Influencers Control To Be Creative: Influencers who have amassed a wealth of followers didn’t just get to where they are. They know the do’s and don’ts of marketing – customer needs, which is why they’re experts in their respective fields. So giving an influencer control to be creative will allow him to showcase your brand to his followers in ways that will also compliment your audience. Identify Audience Engagement: In this case, before working with an influencer, you need to identify his/her audience engagement rate to know whether he is the best to work with. Remember, it’s not always about the numbers, it’s about how engaging their audience are. If the engagement rate is good enough for you, then pitch and collaborate with influencer. Engage With Influencers You Want To Work With: Influencers need to know and believe in you before they can convincingly promote your products and services. So, frequently engage with influencers in your niche who have influence over your target market. As they come to know and love your products and services, they’ll convincingly advertise it even if you’re not paying them. Respect Their judgment: There is a reason why these men and women are regarded as experts and influencers – they know the “rules of engagement,” so to speak. Their command a large group of people who listen to them and do whatever they say. Thus, give them due respect and allow them do their job for the best interest of your brand. Set Clear Objectives For Influencers: As you can see, influencers can help your brand go viral and grow your business faster than your can imagine. But if you do not have clear objectives for him to work with, it might not turn out the way you expect. Therefore, set clear goals and objectives to help create more brand engagement and maximize ROI. 6. How To Find Your Perfect Influencer? Finding influencers to work with is not really easy, but with the right tactics in place you can get the ideal influencer for your brand. So, determine the tactics you want to implement and search for influencers who fit into your marketing tactics. All the different types of influencers mentioned in this article use different marketing channels to reach their prospects. Some use social media sites, personal blogs, discussion forums, groups, and so on. As mentioned earlier, your objectives will help you determine how you pinpoint your ideal influencer to work with for maximum ROI. 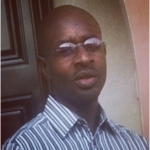 Accordingly, follow and engage with them on various platforms to create relationships. Let them know you. There are many tools that can help you find your perfect influencer to work with, such as: Buzzsumo, Linkdex, Followerwonk, ProvenSEO, including Google Search. For example, I’m in the blogging or content marketing industry, and if I want to search for influencer in my niche, I simply go to Buzzsumo, Alltop, or Google search and search for top content marketers. From there I can filter the result and select those I’ll like to work with. Do you love the articles you find on Proven SEO? How to Cut Costs and Boost Engagement with Micro-Influencers? Follower Numbers & Engagement Rate – What is Vital to Influencer Marketing? Learn how ProvenSEO Services can Help you. Are You Making These Social Media Marketing Mistakes In 2017? How to Fix the ROI Problem with Influencer Marketing? Agency Ready to Get Started? Get the high-quality content submission on niche-relevant blogs with excellent ranking qualities today. Impress Your Customers From Day One! Enter your email below to sign up for our newsletter today!